Info:These caps would have been produced as a tie-in with Californian Volleyball clothing manufacturer Club Sportswear. 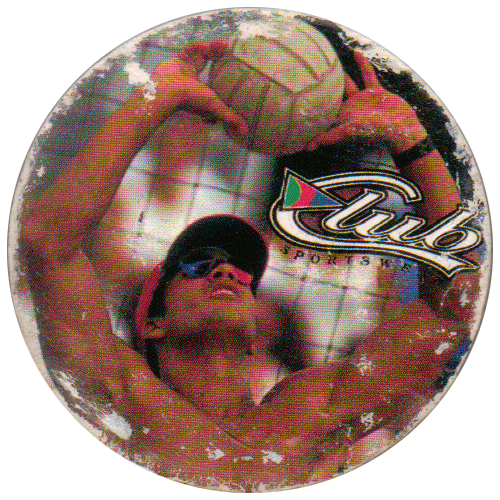 They feature volleyball players with the 'Club Sportswear' logo printed on the front of each cap. 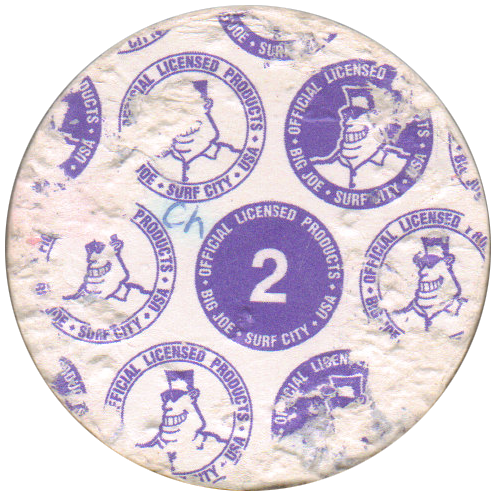 On the backs they are numbered and have the Big Joe Surf City logo printed in a repeating pattern. Thanks to Ryan Peers for the scans of this cap. For the full set, see spakatak.com USA Tazos Guide - J&K K-Hitters K-Caps: Club Sportswear.